The building instructions are very clear, except for the number of washers to be placed at (a) and (b) : they say 2 or 3 washers at (a) and 1 or 2 at (b). I found that 2 washers at (a) and 1 at (b) was the best for the gears to mesh correctly. A great find thanks for sharing. Looks very good. 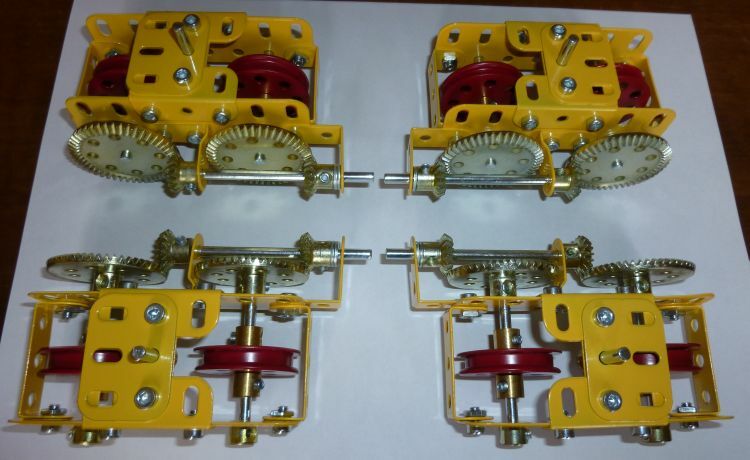 Almost as good as the original Meccano. I do hope it is released in the UK. The last time I used Meccano was the 70's. you got a spanner and the nuts were all square, used to take your skin off. With issue 1 you get 3 spanners and 2 Allen keys. 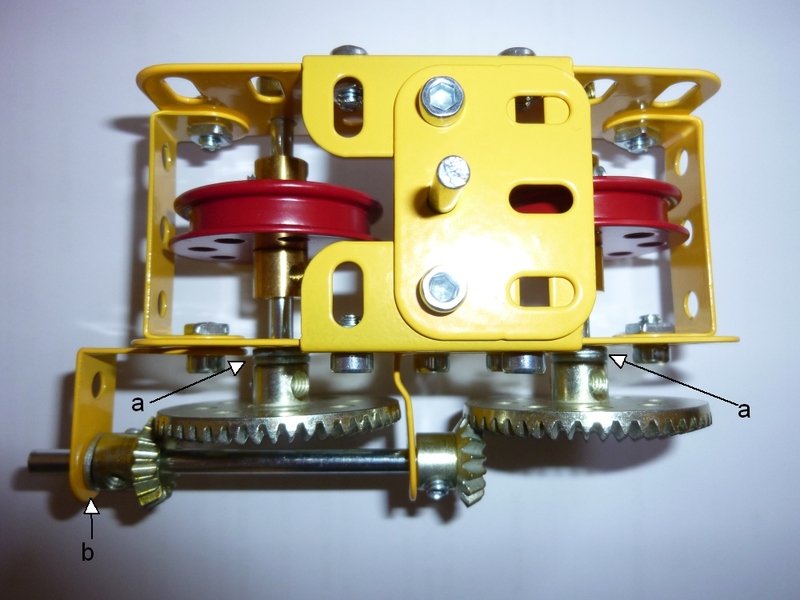 The bevel gears are of a lowest quality than the original Meccano parts. They have a tendency to tarnish. The other parts seem to be OK. I remember the square nuts with vicious corners. I see they’ve bevelled the corners on the partwork version. Issue 2 is now available in France. It builds the second bogie of the crane (similar to the previous one). 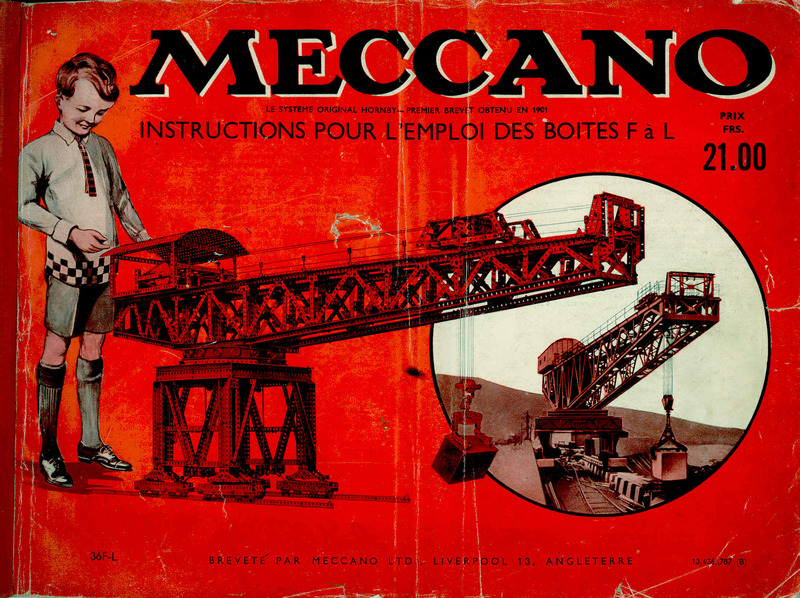 * History of Meccano : "Mechanics Made Easy"
* History of the Meccano blocksetting cranes, with some excerpts from the book "Les Merveilles du Génie Civil", translation of the english "Meccano Book of Engeneering"
It builds 2 other symmetric bogies of the crane (similar to the previous ones, but without the gears). Note that there is a slight excess of nuts, bolts and washers in the issues so far. Of course I keep them carefully. 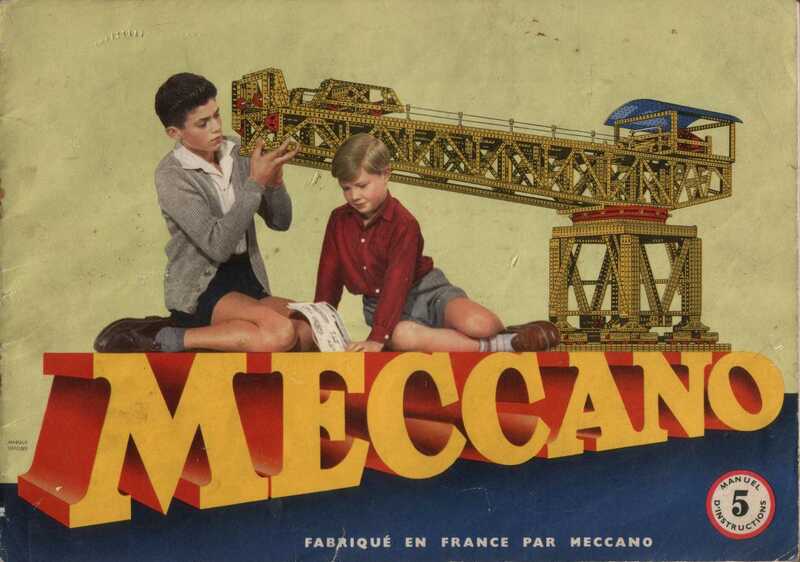 * History of Meccano : The foundation of Meccano Ltd.
* History of the Meccano blocksetting cranes, with other excerpts from "Les Merveilles du Génie Civil". Please keep on posting your progress. I'm enjoying watching it come together. I so hope this comes to the UK. The collection should come to the UK in December. It builds a horizontal arm, to be connected with the bogies later. Note the introduction of the 25-hole angle girders, of which the model will include a large amount ! 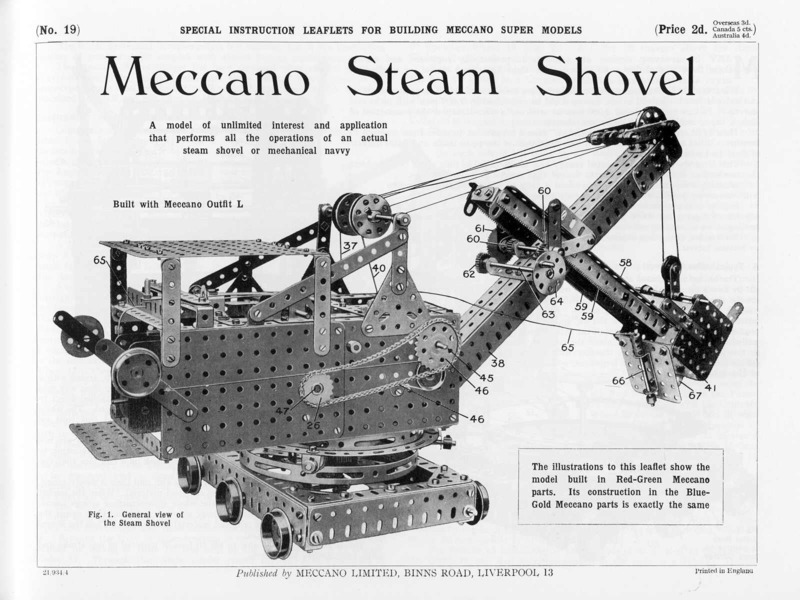 * History of Meccano : The rise of Meccano Ltd. It completes the horizontal arm, begun with the previous issue. 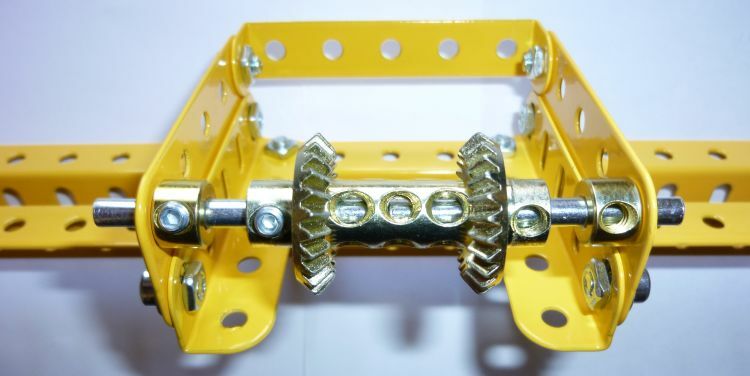 Note the girder frames (a) which are used by pairs, so that there is a total of 8 in the package. It builds another driving bogie (see the first post). 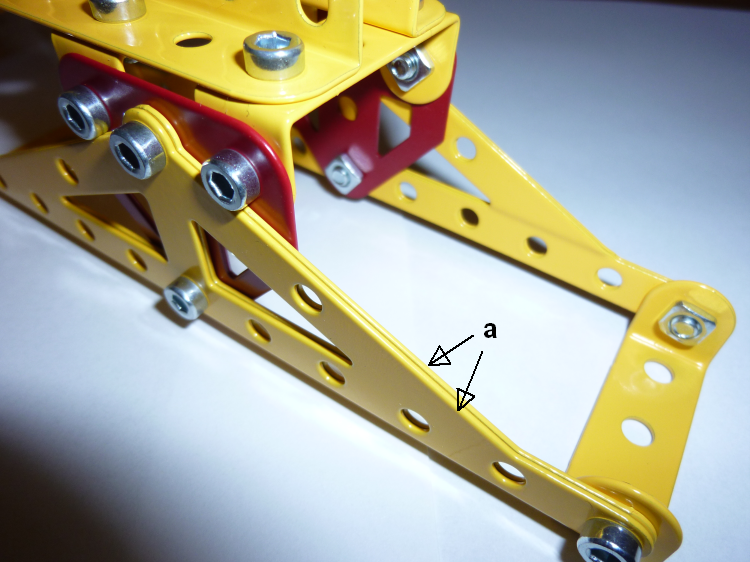 It is likely that issues 6 to 10 will build the same assembly than issues 1 to 5, for the other side of the crane. the magazine is still available at the newsagents and at journaux.fr. 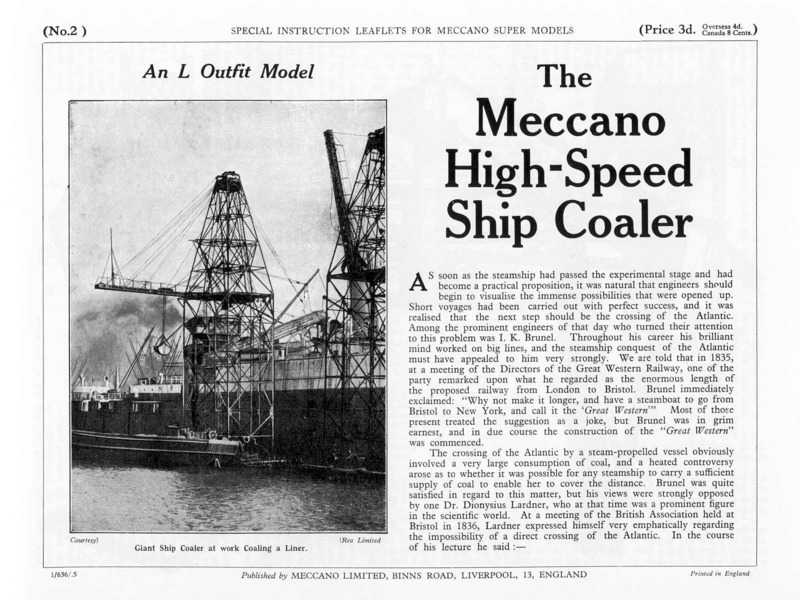 * History of Meccano models : gantry crane models from "Mechanics made easy"
And yes, the historical chapters are quite interesting, with many good pictures. The conceptors have done a very good job here. The "other models" are more disappointing because they cannot be built with the contents of the partwork. They involve many special parts which are quite expensive.